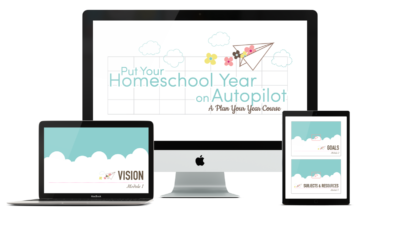 This post is the first in a series on how to plan your homeschool year. 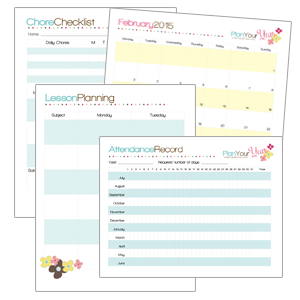 I will be using the forms in my free Plan Your Year homeschool planning pack. Click on over and download your free copy so we can get started! When you start with homeschool planning, it is always good to start at the beginning. So before a single resource is purchased, before a single dollar is spent, I like to take a look at the person whom I will be teaching next year. What do I know about that person — that child? What are their strengths and what progress have they made over the past year (their successes!). What areas do they need to improve on and how do I need to stretch them? 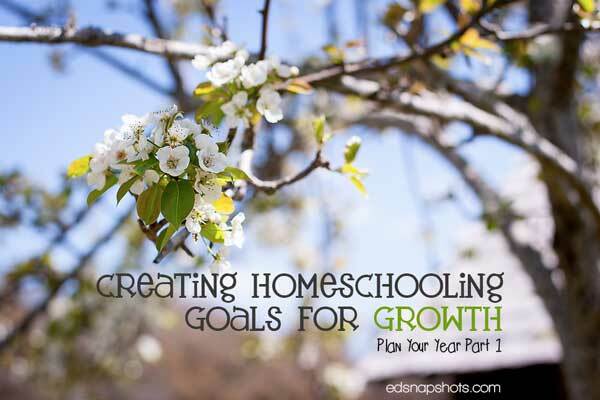 Only after those areas have been considered can I create a set of homeschooling goals for the upcoming year. From those goals I will know what materials I need to purchase and what time I need to set aside for each child. But it all begins with a person. 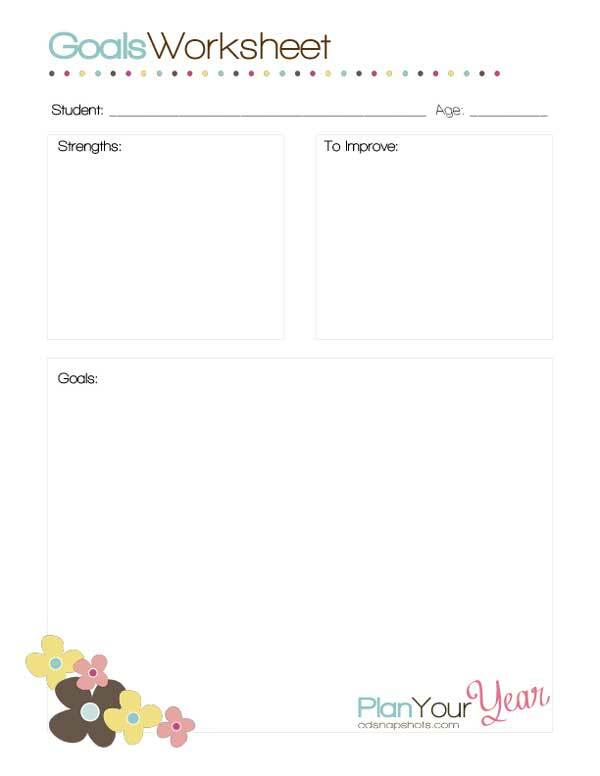 The Goals Worksheet in the Plan Your Year homeschool planning set is broken down into three sections. Let’s take a look at them one by one. The first area is a place to record your child’s strengths. In this area I encourage you to list the places where your child excels and those they have made significant progress in throughout the year. This is important for a few reasons. First, when a child has a strength in an area, say math, that doesn’t mean we can sit back and relax about that subject. Instead it is an opportunity to play to that child’s strength and provide additional enrichment. Many times a child’s area of strength is also an area of interest. When we are able, it is important to cultivate and allow them time to pursue those areas. Because we are going to keep this form handy as we progress through the planning process, it is good to write those things as a reminder. Significant progress is also something to record in this box. This is important for no other reason than to remind you of what has worked this year and how hard work, yours and theirs, does pay off. This box is for recording those areas where a child need significant improvement. This is to remind you what subjects to allow extra time for in the year or what skills to work on. While the main focus of this sheet is academics, we are educating persons here, not merely students. So list areas of character or even practical life skills that could use improvement as well. 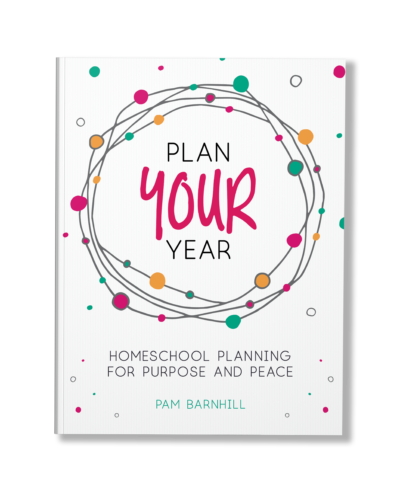 While the Plan Your Year pack includes the forms I have used to plan my year for the past three years, when I started working on the Homeschool Expansion Pack I asked friends what forms they would find helpful in a homeschool planner. One friend requested a form called the Family Skills Tracker that allows you to track areas of character or life skills you want to focus on with your kids. It is a great reminder to work on those areas. And while the human tendency would be to fill this box with every little fault or weakness we would like to correct, limiting ourselves to about three to five areas on which to focus will make for a far more productive year. The final box on this sheet is all about setting goals. Goals provide a direction for the year and a framework from which we decide on subjects to study and what purchases we need to make. While the “strengths” and “to improve” boxes provide us with specific areas where a child needs enrichment or extra help, the goals box includes those areas plus a broader academic scope. So how should we go about setting goals? 3.1 Goals should be specific and measurable. The first hallmark of a great goal is that you address a specific area and decide how you will determine your success. Not a great goal: Olivia will learn to write. Good goal: Olivia will write four days a week, focusing on outlining, research skills, summarizing, adding style, narrative form, and poetry. 3.2 Goals should focus on behaviors and not outcomes. Remember we are starting with a person here, right? When it all comes down to it, we can’t make them eat, sleep, or learn according to our desires or timetable. So I like to focus goals on what I can control — the behaviors or habits — and not the outcome. Not a great goal: Olivia will memorize the multiplication tables (12×12) by May 2015. Good goal: Olivia will spend 15 minutes a day, four days a week using resources to practice her multiplication facts. In the first goal you really have no control and are possibly setting everyone up for failure. The second goal you have complete control over — possibly requiring some creativity on your part to make the process interesting. Which goal is more likely to lead to success? In my house, the first one is only going to provide stress for everyone. We can rock that second goal and have fun doing it. Another thing to consider is including your child in the goal making process. This is especially important for older students who should have some input into what they are learning, and it teaches goal-setting and self-evaluation. This is why we homeschool, right? So we can focus on the person and be sure that they have an individualized learning experience. Not a great goal: Olivia will complete Math-U-See Gamma by May 2015. Good goal: Olivia will score at least a 90% on each test in MUS Gamma before moving on to the next chapter. The first goal does not guarantee learning — only that the box was checked. The second goal focuses on the mastery of the mathematics skills presented in the curriculum, as evaluated by the testing tool provided. If Olivia has not mastered that material by May 2015, then that goal will continue on next year’s sheet. The purpose is not to “complete the fourth grade book,” but to master the material presented no matter how long (or short) a time that takes. 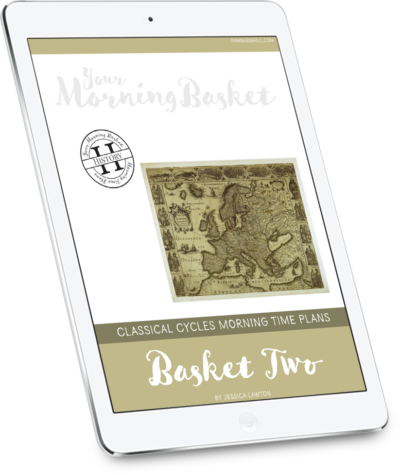 Classically Charlotte: Children are Born Persons — Mystie discusses Charlotte Mason’s first principle of education, which is relevant no matter which method of homeschooling you use. How to Make Homeschool Resolutions You Can Keep — More from me on goals. Includes additional tips on implementing the goals. 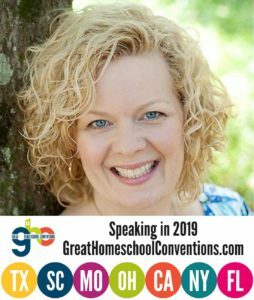 Flinging Wide the Doors of Learning: Why I am Forgetting About Results as I Homeschool My Kids — Sarah talks eloquently about focusing on the process and not outcomes. 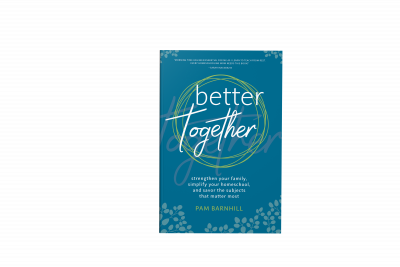 Big Picture Goals – Goes beyond goals for a specific year to address goals for the entire homeschool journey. So how do you go about setting goals? What questions do you have about goal setting? You are speaking my language, I love reading these types of posts! Thank you, I really need those example of goals and not goals and I can see how they are different. I think I would have done the first one it just seems so simple but your right it doesn’t focus on them learning or how to go about it. I actually started planning and I really haven’t looked at the goals for them or their strengths and weakness. I have two will be high school boys that are different all the way. I’m hoping to teach them most of the same classes but I see I may need to rethink that. I have one who struggles in language and one who doesn’t and I can now see it wont work if I want to build on that for him. Great advice hope to read the rest and get a better handle of things for next year. Yes, play to their strengths and shore up their weaknesses. I think a personalized learning plan is one of the greatest benefits of homeschooling — especially when they are older and much more independent in their learning. Goal setting is one of the most important steps for me. It helps me stay on-track during the school year. And, if something comes up and we have to reduce our work load, I can focus on the basics. As long as I’m seeing little bits of progress I know we’re doing well. Yes! Knowing what I am trying to accomplish definitely helps me keep my focus when the going gets tough. And keep my focus when shiny new curriculum and resources cross my path, too! Thanks for stopping by. I really enjoy reading your posts. Thanks for sharing with other homeschoolers!